NEF Law College, established in the year 2006 is one of the finest centers of Law Education in the NE Region. The College is located at Christianbasti, G.S.Road in the heart of Guwahati city. Significantly, Guwahati - ‘the gateway of North Eastern India’ is linked by road, rail and air with the rest of the country and more particularly with the other states in the North East. This shows that the College has a locational advantage and at the same time, it stands to fulfill the long-standing need and dream of a ‘Law college of Excellence’ in this part of the country. NEF Law College is a one of a kind ‘Centre of Law Education’ in the entire NE Region, set up in uniformity with other reputed National and International Law Colleges. The College has taken the uphill task of promoting Legal education in this region, especially among the younger generation so as to mould them into responsible citizens of the country. NEF Law College is promoted by National Education Foundation, which is a pioneering organization in the North Eastern region engaged in promoting and popularizing professional education and inculcating in the ‘new generation’ a spirit of competitiveness and innovativeness, enriching their knowledge and developing self-confidence and thereby make them fit to face challenges in their lives.The College is duly approved by the Deptt of Higher Education, Govt. of Assam and permitted and affiliated by Gauhati University. The College is also approved by Bar Council of India (BCI). 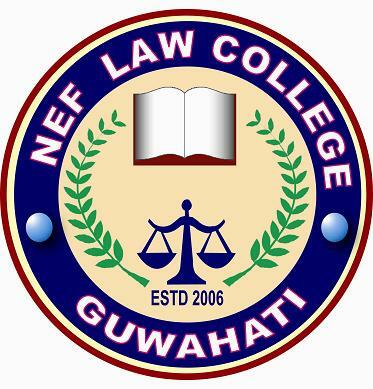 NEF Law College, Guwhati offers various graduate courses as well as Post Graduate courses. NEF Law College, Guwhati is affiliated to Gauhati University, Guwahati. List of facilities available at NEF Law College, Guwhati for students. This page was last modified on 20 April 2016 at 16:04.